Looking for an antidote to museum fatigue? A marvelous green space can truly transform a city visit, giving families a place to spread out with a picnic, ride bikes, kick a ball around, or explore a playground. Here are the most-visited urban parks in America according to the 2015 City Parks Facts report by the Trust for Public Lands, an organization at the forefront of national efforts to create city parks and raise money for local conservation. 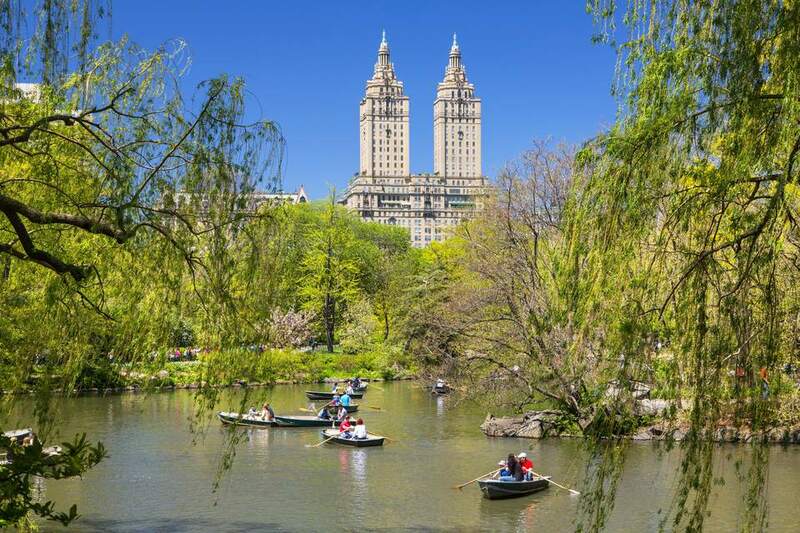 With over 42 million annual visitors, 843-acre Central Park in New York City tops the list, with its miles of strolling paths, sprawling meadows, open-air amphitheaters, playgrounds, and a lake where you can take out a rowboat. The second most-visited city park in the United States also happens to be a national park. Last year in Washington DC, over 29 million visitors visited the National Mall, whose 725 acres include the area between the Lincoln Memorial and U.S. Capitol, with the Washington Monument, Vietnam Veterans Memorial and World War II Memorial also on the grounds. Coming in at number 3, Chicago's Lincoln Park draws 20 million visitors a year. Named for President Lincoln, this 1,200-acre waterfront park stretches for seven miles along Lake Michigan and includes the Lincoln Park Zoo, Lincoln Park Conservatory, and North Avenue Beach. San Diego's 4,235-acre Mission Bay Park is the largest man-made aquatic park in the country, made up of nearly equal areas of land and water. Over 16.5 million annual visitors enjoy activities such as wakeboarding, jet skiing, sailing, jogging, skateboarding and beach-going. Open since 1876, Forest Park is known as "the heart of St. Louis" and features a variety of stellar attractions, including the St. Louis Zoo, the St. Louis Art Museum, the Missouri History Museum, and the St. Louis Science Center. With 15 million annual visitors, it is tied for sixth on the list of most-visited city parks. Attracting 14.5 million visitors a year, San Francisco's Golden Gate Park is the fifth most-visited urban park in the country. At over three miles wide and a half-mile long, it is 20 percent larger than New York's Central Park and contains windmills, waterfalls, two major museums, beautiful gardens, facilities for more than 20 sports, and even a homegrown herd of buffalo. Tied for the sixth most-visited city park with 12 milliion yearly visitors, Griffith Park in Los Angeles is largely wild and rugged with numerous hiking and mountain bike trails as well as golf courses, pony and train rides, tennis courts, picnic grounds, a zoo, an observatory, and more. Drawing 10 million visitors a year, Philadelphia's Fairmount Park is an expansive 4,100 acres of meadows, trails, woodlands, and outdoor sculptures, as well as the Philadelphia Zoo and the Centennial Exposition grounds. Hugging the shores of Lake Erie, Cleveland Lakefront State Park offers a natural relief to the Cleveland skyline, with sandy beaches, tree-lined picnic areas and sweeping views of the lake. Drawing over 8.4 million visitors annually, it is the ninth most-visited city park in America. Rounding out the top 10 with over 5.9 million annual visitors is Houston's Hermann Park. Thanks to its proximity to downtown, the Texas Medical Center, Rice University, and the Museum District, this 445-acre urban park is an important resource for many Houstonians. Whether you wish to ride the train along the Hermann Park Railroad, visit the butterfly museum, pedal around in a pedal boat on McGovern Lake, jog along the trails, or enjoy a peaceful moment in the Japanese Garden, Hermann Park offers countless opportunities for relaxation and recreation.